The mostly Sunni Muslim ethnic Uighurs in China’s northwest Xinjiangprovince have, for over 20 years, been using various migration routesto escape violence from Chinese officials. The original migration wastriggered by the April 1990 “Baren uprising,” a confrontation withChina’s army that led to the deaths of more than 1,000 Uighurs andChinese troops in a five-day conflict. After the breakup of theSoviet Union in 1991, many Uighurs fled to the newly independentCentral Asian countries — Kazakhstan, Kyrgyzstan, Uzbekistan,Tajikistan and Turkmenistan. The Uighur language is “Turkic,”mutually intelligible with Uzbek and similar to Kazakh, Kyrgyz andTurkmen. After the late 1990s, China succeeded in closing the door to migrantUighurs in Central Asian countries, and instead the migrants begantraveling to Southeast Asia. Some joined the Taliban in Afghanistanand Pakistan, and ended up being captured by American forces andshipped to Guantanamo. 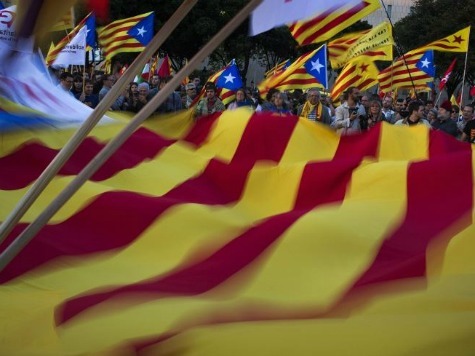 Scotland’s vote for independence is already energizing separatistmovements all over the world, and that’s particularly true in Spain,where activists in the Catalonia region are seeking independence, witha referendum scheduled for a month from now, on November 9. TheSpanish government considers the referendum to be illegal, but it’sgoing ahead anyway. Catalonia had special rights throughout the Middle Ages, and only lostthose rights with the War of the Spanish Succession that ended withthe surrender of the people of Barcelona to the French on September11, 1714. Thursday is “Catalan National Day,” commemorating thedefeat exactly 300 years ago. During the rule of longtime dictator Francisco Franco, Catalonia’sindependence movement was illegal and even the Catalan language wasbanned. But in 1978, just three years after Franco’s death, theKingdom of Spain passed a democratic constitution granting thecountry’s 17 regions autonomy. Catalonia and the other regions thengot their own constitutions which guaranteed self-government. Since1980, Catalans have been electing their own parliament, have had theirown police force and have taught their children in the Catalanlanguage. In the early 2000s, Spain had one of the worst real estate bubbles ofany country in the world. When the bubble crashed, the economyplummeted, and unemployment today is above 25%. When Catalanpublic protests began, Madrid placed restrictions on Cataloniain 2010, even on the Catalan language, giving further impetusto the independence movement.